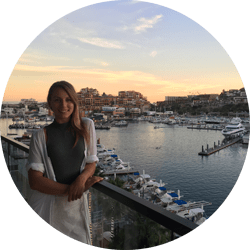 We thought it would be important to interview Claudia Solís Breathless Riviera Cancún Weddings Specialist to help shed some light on destination weddings, Breathless Riviera Cancun, and what it’s like to be a wedding specialist! Furthermore, we have asked her six questions that we believe would be relevant for anyone planning a destination wedding. Plus, it helps that Claudia Solis is a sweetheart! Let’s check it out. 1.What is your name, occupation, and resort/company? Claudia Solís weddings specialist at Breathless Riviera Cancun Resort & Spa. 2. What is the most exciting part of your job? What I love about my job is get to know the wedding couples, understand the vision of their wedding and turn it into reality on this particular day leaving them breathless! 3. What is your favourite location for a wedding ceremony? 4. What do you love about destination weddings? Destination weddings allow our wedding couples to offer their family and friend an amazing experience; they invite them to their wedding but also to enjoy few days at an amazing resort, they can explore beautiful places, and they attend their loved ones’ wedding! 5. What’s, is a wedding tip you would you give future brides? 6. What do you love the most about your resort! The food, the service, the music and entertainment will make you LIVE BIG AND BREATH DEEP!! We love Claudia Solís Breathless Riviera Cancún Weddings Specialist! If you would like to contact her or Breathless Rivera Cancun, check out their Website, Facebook, and her Twitter/Instagram account for more information! Thank you again, Claudia!